String Section offers the very highest quality strings for all types of recordings, providing everything from a solo violinist to a 40-piece string orchestra. We deliver a full range of services - from notation and orchestration to arranging and composition, scoring and recording sessions with some of the UK's finest studio session musicians. String Section are the ideal choice for those looking to hire professional string players on their album projects, film scores, advertisements or for incidental music for radio and television. We have also worked for many independent composers, singer songwriters and producers and can skillfully overlayer to impressive effect, creating a full size string orchestra with as few as two players. As such, we can offer a degree of excellence once only reserved for major artists and labels, but now affordable to all those seeking strings on their tracks. String Section was founded in 2007 by Vaughan Jones, who saw that a gulf existed between high-cost professional studio string orchestras on the one hand and VST sampled sound libraries on the other. And although sampled strings have advanced considerably over that time, and orchestras in the Czech Republic, Hungary and Kazakhstan (amongst others) now offer a versatile service, String Section delivers an outstanding alternative for those seeking a smaller alternative at a low cost. We have worked with clients from all over the world and are happy to receive audio files remotely, sending back completed recordings quickly and efficiently, to exactly the specifications required by individual clients. Their leader, violinist Vaughan Jones is a seasoned violinist, violist, composer and arranger. He recently released a disc of solo violin music, picked as an 'Editor's Choice' for the Gramophone magazine and his string arrangements have been played on radio stations across the globe, including ABC Australia, King FM in Seattle, Radio-classique Montréal and Classic FM. In 2014, Vaughan arranged a string ensemble piece for the forthcoming film 'Queen of the Desert' starring Nicole Kidman (members of String Section also made a cameo appearance in the ballroom scene of that film). 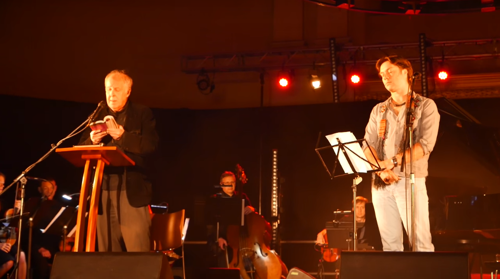 April 2016 saw String Section perform with Rufus Wainwright and Florence Welch at St John's in Hackney for Rufus's album based on Shakespeare sonnets entitled 'Take All My Loves'. 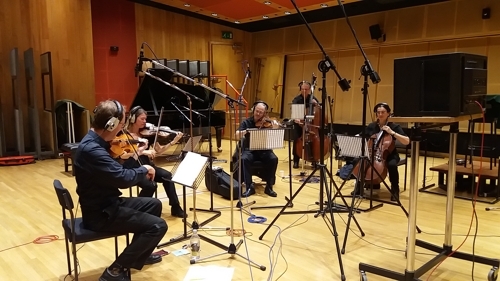 String Section's various players have contributed to countless major feature film soundtracks, as well as performing on albums by Adele, Michael Jackson, Snow Patrol and many others. We have recorded in dozens of different studios in the U.K. as well as providing our own reasonably priced recording facilities. Still have questions? Please see our FAQ page.